Every year, the entire month of June is dedicated to awareness and events around the LGBTQ community. Pride Month offers people an affirming atmosphere to come together, take stock, and recognize the progress and setbacks made in the past year. One of those advances is the Jewish Pride Fund, a giving circle of the Jewish Community Federation and Endowment Fund. “Giving circles have a long Jewish history,” said Danielle Meshorer, the Federation’s Manager of Venture Philanthropy and Giving Circles. “They are a way for people to pool their resources so that they can have a collective voice in making decisions in areas of philanthropy that directly impact their lives.” Moreover, especially among younger donors, giving circles can be an effective tool for donor engagement and community building. "We believed that after years of so much generosity from the general Jewish community, it was time the LGBTQ community raised our collective voice. That is how important this giving circle came to be. We were done sitting around talking. We wanted to act." 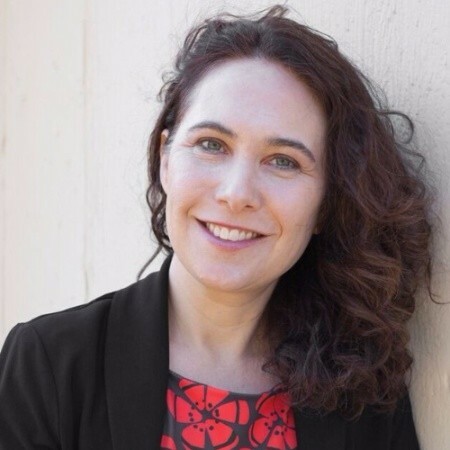 Danielle oversees the work of the Jewish Pride Fund, which held its final meeting of its inaugural grant year on May 7, selecting three organizations to each receive a $6,000 grant: Israel Gay Youth, Eshel, and the Queer Jewish Youth Program at the JCCSF. The Pride Fund is chaired by Federation board member Sam Goldman. 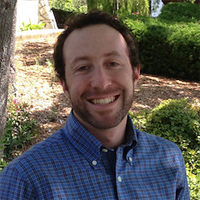 “With the Pride Fund, we are really thinking about how can we make the greatest impact philanthropically… specifically with the intersecting needs of the Jewish and LGBT community,” said Sam from his Bay Area office. To do that, Goldman and the rest of the initial ten-member giving circle pooled their funds and met five times over a series of months. Individual members of the group researched various organizations whose values aligned with the Fund’s vision and mission statements, culminating with their selection of the three grantees, which were very purposefully chosen for the distinctive populations that they serve. “We chose Eshel because we wanted to do something that would try to address the challenges LGBT orthodox people face around the country. Even though San Francisco’s orthodox community is small, it’s meaningful that support for people who may be struggling with their religious identity stems from a very liberal city,” said Sam. Finally, they wanted to choose a Bay Area organization that embraced their values, and the Queer Jewish Youth Group at the JCCSF – aka “The Q” – checked all the boxes (particularly the group’s enthusiasm for helping LGBTQ young people) and earned the cohort’s passionate support. In turn, The Q’s Teen Outreach Coordinator, Jane Davis, was grateful to receive the Pride Fund’s grant. Clearly, that “meaningfulness” was mutual, as it appears that most of the Jewish Pride Fund giving circle members will be upping their involvement and commitment in their Jewish community in the months and years to come. To learn more about the Jewish Pride Fund or other giving circles at the Federation, contact Danielle Meshorer, or call 415.512.6259.